Dealer Gregg Ciocca, left, with some of the millennial staffers he has hired at his east-central Pennsylvania dealerships. 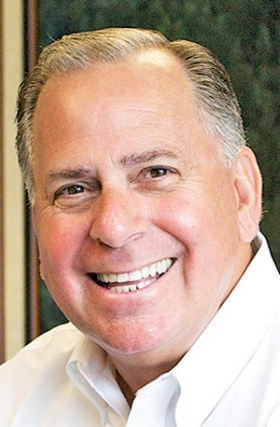 It took Gregg Ciocca, dealer principal of Ciocca Dealerships, the better part of a decade to build a strong millennial contingent on his sales staff. Ciocca and other dealers who have gone through a similar painful learning curve agree on the keys to staffing with millennials: meticulous vetting and intensive interviewing. "It's not an easy process getting hired here," Ciocca said. "Out of every 100 interviews, we only hire about four or five employees." At Ciocca's nine dealerships in east-central Pennsylvania, prospective employees go through a rigorous series of interviews before they're even considered for the job. The technique didn't work perfectly right off the bat. "It took the better part of six years to get this going," Ciocca said. "It has really escalated over the past three or four years." Millennials are increasingly important to a dealership's success as members of that generation, those ages 18-35, step up their new-vehicle purchases, said John Challenger, CEO of employment research firm Challenger, Gray & Christmas. "Dealership owners and managers need to make a conscious recognition of this trend and devote more resources to this," Challenger said. "Millennials are the people who will be the foundation of your business for years to come, both on your staff and as your customers. Don't wait to get these young people on your staffs. If you do, you're going to miss the boat." When Ciocca started actively seeking millennials for his staff, he spent a lot of time and money on employees who didn't work out. "We had a lot of 'free agents' who were kind of in and out," Ciocca said. "So I went to our strategic partners at Ethos and said, 'I have to be better at this.'" Ethos Group is a finance and insurance consulting firm that also offers hiring and training consultation to its dealer customers. The firm travels to college campuses to recruit a collection of young workers for its dealers to choose from. With the help of Ethos, Ciocca was able to compile a deep pool of qualified millennials who met his specific qualifications. Challenger said this technique is the most effective when recruiting millennial workers. "It is hard to hold onto millennials," Challenger said. 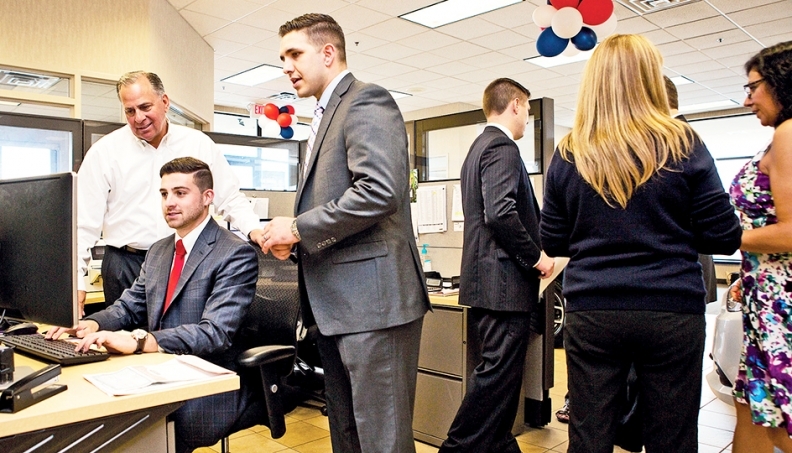 "Dealers need to recognize that and build in a steady pipeline of young talent." This pipeline helped Ciocca to hire whom he wanted off the bat, rather than sinking time and money into intensive training. "They pick up on things quickly," he said. "Plus, they're trained the way we want and situated to stick around." Ciocca prefers to hire millennials with no background in retail or the automotive business so that he doesn't have to untrain or refocus them. "They don't have any preconceived notions about the business, and we can train them the way we want -- properly," he said. Tim Bergstrom, COO of Bergstrom Automotive in Neenah, Wis., also is working to revolutionize the hiring process for millennial workers. He enlisted millennial expert Jason Dorsey to coach his managers on hiring the right young people. Bergstrom used to strictly look for workers with experience in the automotive business or, at the very least, experience in customer service. But he found that experience sometimes was a warning sign. "If they're on their third or fifth job, well, maybe there's a reason why," Bergstrom said. "The No. 1 thing we look for now is a positive attitude." Varsity Ford in Ann Arbor, Mich., takes the opposite approach. Instead of setting up an intensive interviewing process, young employees are required to go out and get experience at other dealerships. 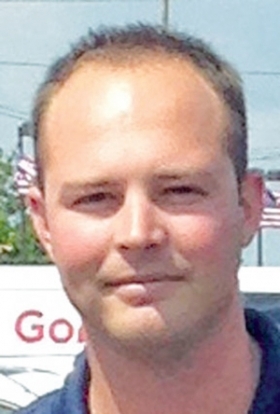 Kyle House, a 28-year-old salesman, had a degree from Northwood University and a father on the Varsity Ford management team, but he still had to pay his dues elsewhere before he landed a job with Varsity. "It's extremely hard to get a job here," House said. "When I first got in the business, my dad wouldn't let me work here. He made me go work in a smaller Ford store" in Lansing, Mich. "Once I could prove myself, I was finally ready to be here." Challenger noted that workplace environment is extremely important to millennials. "They value coming to work when it's a place they really want to be every day. It's not only just about the money for millennials; you have to be conducive to their lifestyle," he said. For House, workplace environment is a huge factor in his happiness at Varsity Ford. The bell-to-bell workday isn't hard and fast because social media allows him to sell cars even when he's not in the showroom. That works for House because, like his millennial cohorts, he values his time off. Ciocca said his millennial hires finally started sticking around when he put all of his efforts into meeting them halfway -- but it didn't come at a small price. He has gone as far as changing his stores' hours to accommodate millennials' preferred work conditions. Ciocca dealerships used to be open from 8 a.m. to 10 p.m. but now close at 8 p.m.
"Their time off with friends and family is important to them," he said. "For millennials, it's not the quantity of the work they're putting in that's important to them -- it's the quality of the time they put in. It's a work hard, play hard mentality." Lisa Copeland, general manager at Fiat-Alfa Romeo of Austin, Texas, said that it's not enough to hire millennials by accommodating their preferences. Management still has to manage. "Keeping them motivated and keeping them focused is a full-time management job," Copeland said. "They watch a lot of stuff on YouTube to get ready and pick up tips and tricks, but at some point, I have to say, 'Get off YouTube and sell some cars.'"